The digital data is growing at an astounding rate, outpacing our ability to analyze it. With the proliferation of smartphones, network connectivity, smart devices, and IoT, the variety and volume of both structured and unstructured data have grown manifold, turning big data into bigger and bigger data. A study by IDC echoes that “By 2020, every person online will create roughly 1.7 megabytes of new data every second of every day; and the digital data will reach to 44 zettabytes or 44 trillion gigabytes”. 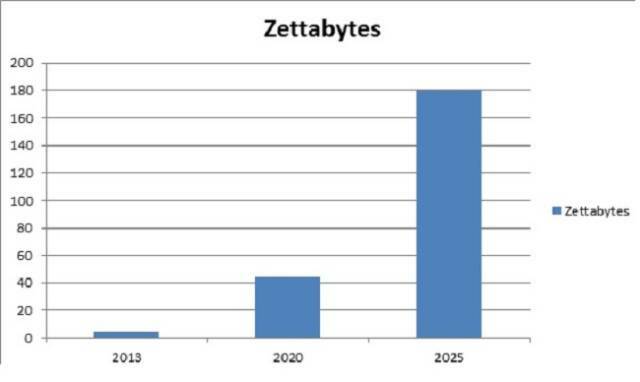 A recent conference by IDC in 2016 states that “By 2025, the total worldwide digital data created will reach 180 zettabytes”. With data growing exponentially, data crunching and analytics has captured the attention of organizations to realize the importance of Big Data. Data analytics helps organizations across the globe to make smarter, real-time, data-driven decisions. In the current hypercompetitive business world, every organization generates a considerable amount of structured and unstructured data from multiple sources. However, most companies fail to recognize the potential of this data which goes unused and lies dormant in a digital drawer. Perhaps the biggest challenge for organizations today is to understand how to analyze and harness the unstructured data which comprises phone calls, complaints emails, reviews and feedback, and social media feeds – to arrive at meaningful business decisions, including customer insights and sentiments. 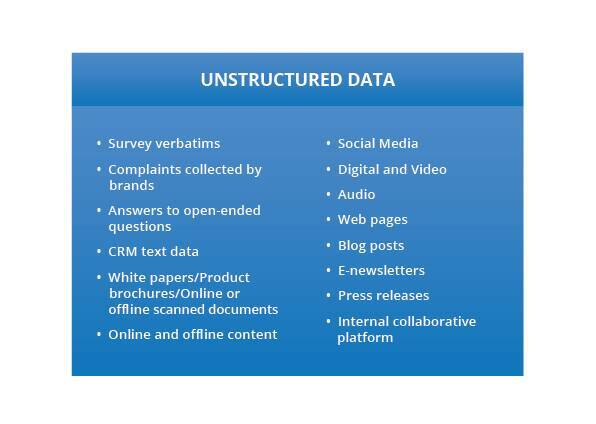 Why Unstructured Data Analytics Matters? The surge of digital and social media coupled with the proliferation of multi-channel processes and transactions makes unstructured data the fastest growing form of data across for all organizations. According to industry leaders, unstructured data is considered an important piece of the puzzle in Big Data. 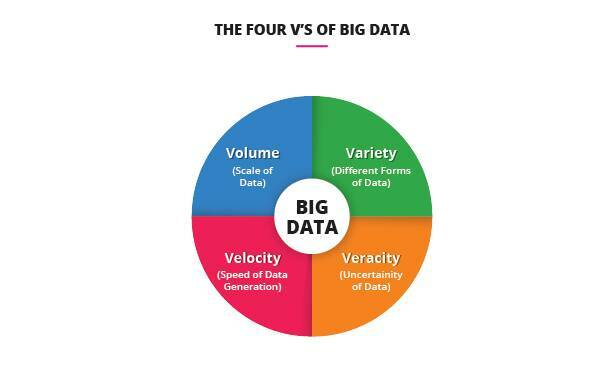 To simplify the concept, Big Data can be broken down into four V’s i.e. – Volume – the amount/scale of data; Velocity – analysis of streaming data flowing into the enterprise; Variety – different forms of data; and Veracity – uncertainty of data. The unstructured form of data usually does not follow a predefined data model and does not fit into any relational databases. It encompasses information that is continuously produced by people, tools, and machines and through various sources such as social media, Internet-enabled devices like smartphones, tablets, videos, music, etc. Analysis of this unstructured data can help enterprises to gain deeper, richer, and more valuable insights of their customers, products, and services. So, how to analyze such huge volume of data and transform it into valuable and actionable insights? Organizations are struggling with this challenge currently. Text Mining: It is a technique that extracts vital information from unstructured data to provide meaningful insights. It is one of the complex analysis in the industry today as it analyzes various text sources including emails, documents, blog posts, customer comments, and queries, Facebook and Twitter feed, etc. As a first step, the unstructured data is converted into a structured dataset and processed through a data modeling framework or technique that helps companies derive valuable insights from the unstructured data. Artificial Intelligence (AI): AI is gaining prominence in the industry and helping organizations to predict the business trend, situations and derive meaning from unstructured data. The rise of AI and cognitive platforms are aimed to help companies unlock insights from the large quantities of unstructured data which includes images, social media content and posts, videos, and text messages. Sentiment Analytics: It is a process which uses text analytics to mine various sources of unstructured data to get actionable insights. It is often performed on the data which is collected from various sources such as the Internet and social media platforms which comprise of customers’ opinions, complaints, issues, reviews, and experiences. Sentiment Analysis plays a crucial role for companies today as most of the decisions are based on the customer’s’ opinion. Companies automate the process to filter out the noise, identify relevant content and conversations by using various algorithms and classifiers. Machine Learning: It is a technique of data analysis that uses algorithms which are programmed explicitly to find hidden insights from the large volume of data. Machine learning allows computers to learn existing data and pattern and forecast the outcomes, trends and future behaviors that help enterprises to develop smarter apps and devices. Employing a machine learning based approach allows enterprises to dig deeper into the mindset of the customers. Embracing these advanced solutions can help companies automate the process of managing and analyzing the large chunk of unstructured data to get real-time insights. Enterprises can use this valuable information to make data-driven decisions, reduce cost, improve efficiency and stay ahead of the competition.